While World War II rages, British women risk their lives as undercover agents in occupied France. A team in the French Alps is given a critically important assignment: to help stage an uprising that will divert German resources from the D-Day landings in Normandy. Now heading the team's London office, Faith Ashley (Jane Asher, A Voyage Round My Father) recruits two new agents to work in Le Crest, a Resistance stronghold on a mountainous plateau. One, Virginia (Catherine Schell, The Return of the Pink Panther), will come face-to-face with her past. 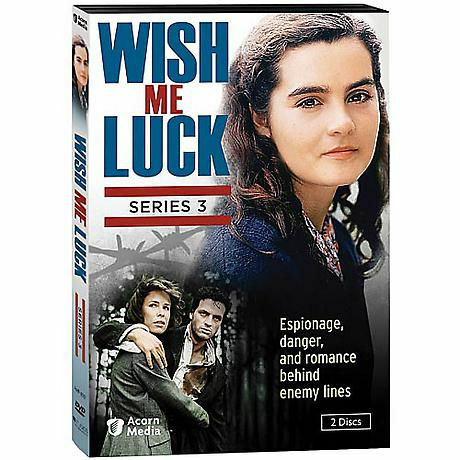 Based on actual events in Vassieux-en-Vercors, a town in France famed for its acts of resistance during the German occupation, the third series of this gripping wartime drama features strong female characters, historical authenticity, and spectacular scenery. The suspense builds toward an emotional, action-packed finale. Also starring Jane Snowden (All Passion Spent), Kate Buffery (Trial and Retribution), Terrence Hardiman (Cadfael) as General Stuckler, and Michael J. Jackson (Doctors) as Resistance leader Kit Vanston. 8 episodes, 2 DVDs, approx. 414 minutes, SDH.